Our growing plots are situated mainly in Ammerschwihr, a small town 10 km from Colmar. 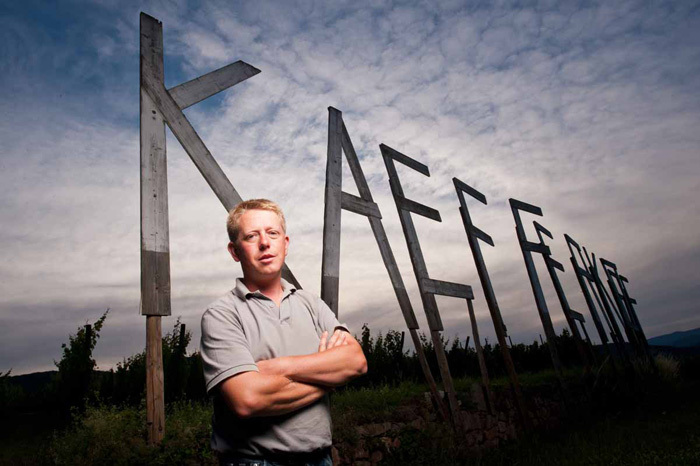 Some are on the plain, other on hillsides, and some in two grand cru sections. Know-how and experience is essential to find the best match between vinestock, soil and sun exposure, in order to make the most of the soil and produce the best wine. Many of these operations cannot be mechanized, for example pruning, old growth removal and tying which keep the staff busy for much of the winter. Pruning runs from December to March. This delicate operation determines the grape quantity, and also affects the longevity of the plants. The previous year's growth is removed then ground. This simpler task can be delegated, for example to workers from rehabilitation associations. Before the spring when the buds appears, all the vines must be attached to ensure that the new growth forms two arches from which the vine shoots carrying the year's grapes will develop. This is the best time to maintain the soil. Weeds are removed from around all our vines, and the soil is worked every two years to keep it loose, permeable and alive. Shallow tilling or ploughing helps to aerate the soil and encourage microbial activity. However, the soil is worked only superficially so as not to disturb its structure. All dead vinestock is uprooted and replaced by young plants. 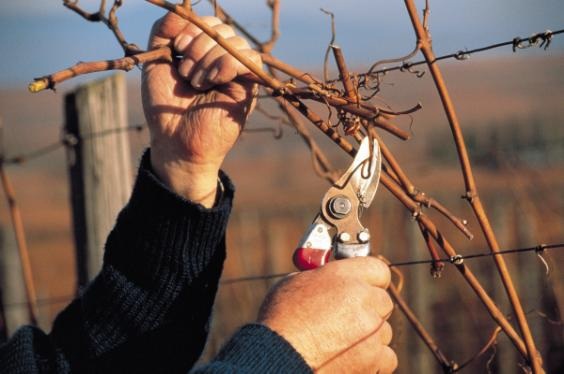 When the vine shoots are fairly well developed, the vines have to be trained. To do this, we use wires to lift the foliage so that it captures as much sunlight as possible, and also to avoid obstructing the alleys between the rows. The first anti-parasite treatments begin in May. 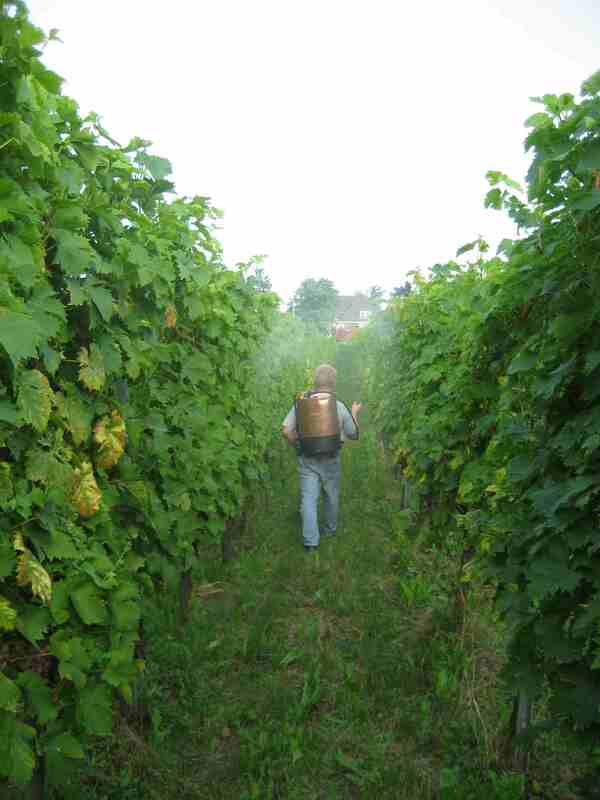 We use copper (Bordeaux mixture) to combat mildew and sulphur against powdery mildew, which are the principal enemies of the vine. As the vines continue to grow, a second tying phase is necessary. This is followed by trimming to remove excess leaves and maintain the best possible exposure on the fruits. The treatments continue until the end of July. Weed growth is constantly cut back to prevent competition with the vine. This is the grape maturation period. 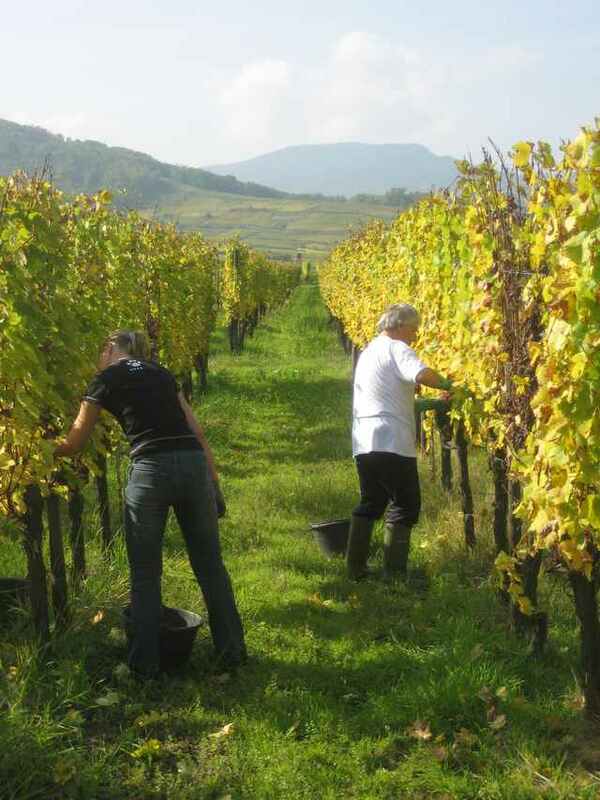 Alsace often enjoys fine sunny weather in September and October, which is ideal for bringing the crop to maturity. The grapes are harvested exclusively by hand. Some vintages necessitate sorting of the grapes in order to guarantee the juice quality. The harvesting lasts about six weeks.